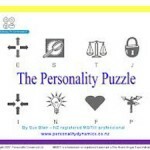 The Personality Puzzle Classic has been created for people in the coaching and counselling professions who want to introduce the complex area of personality type in a simple and yet significant way. 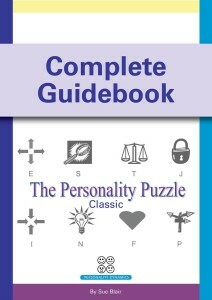 This Complete Guidebook contains extensive information on the development, use and applications of the Personality Puzzle Classic Card Set and is a must for any Type Practitioner, Coach or Counsellor. 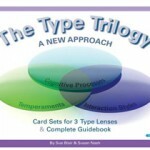 Our role as MBTI® coaches is to create a setting which enables this process in a way that suits the client. We have a duty to our clients to be our best, enhance our skills, keep ahead of research and aim to be at the top of our game. We need to have the tools to do this and know when to use them for best results and a rewarding experience for all. 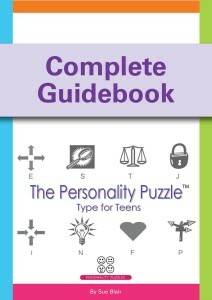 We developed the first Personality Puzzle in 2007 in response to an observation that discussion around type preferences was somewhat limited when the visual tools available were either in books or reports. We also wanted to combine image and language so that clients could more easily remember key points of our conversation. A card sort resource fitted the requirement perfectly. It is true that this bucks the trend of more high tech solutions but there are tremendous advantages in using this approach. It’s a very different sort of engagement to anything that is available on-line. It becomes a meaningful conversation with someone who cares. Surprisingly, these are becoming quite rare.